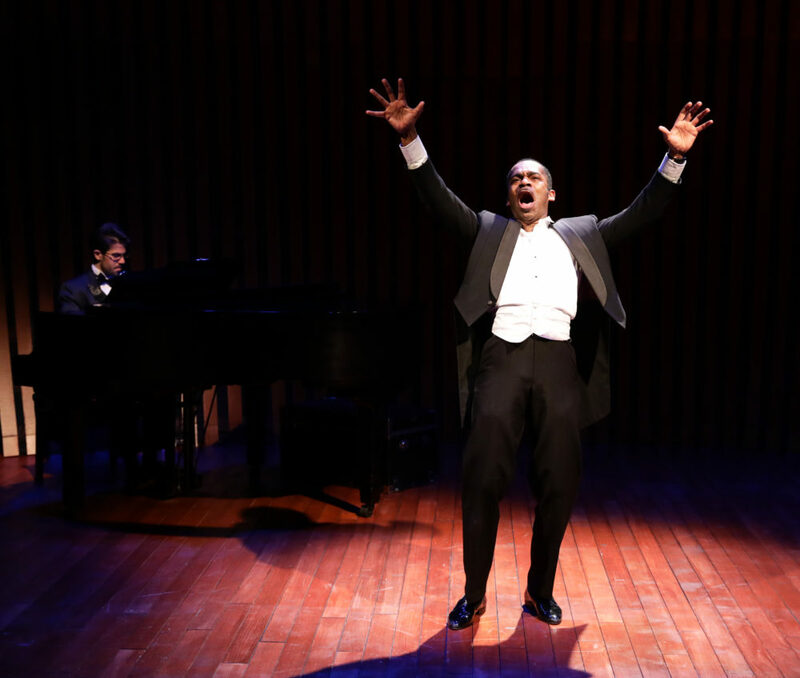 "Breath & Imagination," produced by the Front Porch Arts Collective and Lyric Stage Company, tells the story of the extraordinary composer and concert singer Roland Hayes. Hayes was born in the late 1800s to a mother who'd been enslaved on a plantation in Georgia. While he only received a fifth-grade education, Hayes went on to perform on both sides of the Atlantic in front of opera lovers and European royals who clamored to hear him sing. By the late 1920s, he had become one of the highest paid tenors in the world. Hayes was also the first African-American person to sing in the Boston Symphony Orchestra. Before he became a star, though, his mother Mo was teaching him spirituals. Hayes' background and unique sound led him to become the first black concert singer in the world to record his music and combine black spirituals with European opera. His story — the successes and hardships — is unpacked in "Breath & Imagination," which is playing at The Lyric Stage. Maurice Emmanuel Parent, co-founder and executive director of The Front Porch Arts Collective. He's an actor, singer, dancer, teacher and the director of "Breath & Imagination: The Story of Roland Hayes." He tweets @MauriceEparent. Davron Monroe, stage actor who stars as Roland Hayes in "Breath & Imagination."